“We are now the fourth space power…. India is no more weak — India has become a powerful country,” Rajnath Singh said. 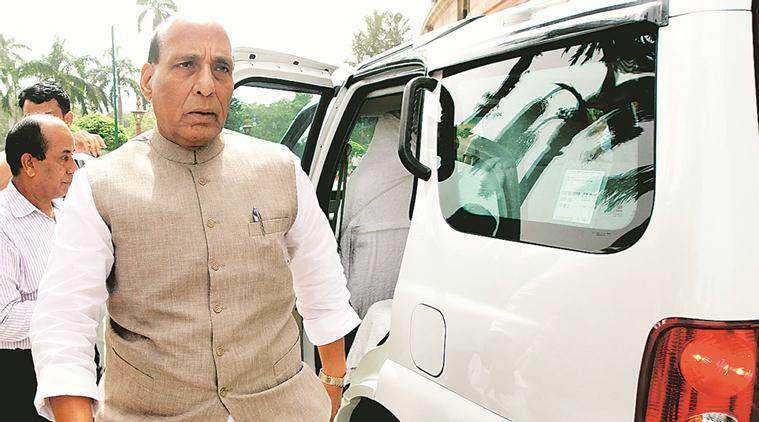 Taking on the Congress over its promise to remove the law on sedition if voted in, Union Home Minister and senior BJP leader Rajnath Singh on Friday said that a BJP-led government will instead make the law stronger — so stringent, in fact, that even the very thought of the provisions will “send shivers down the spine”. Addressing an election meeting in Gandhidham, in Gujarat’s Kutch district, Singh also praised Prime Minister Narendra Modi for giving Indian scientists the “go-ahead” to conduct the anti-satellite missile test, and pointed out that the country had this capability since 2007. “We are now the fourth space power…. India is no more weak — India has become a powerful country,” he said. He also said the BJP wants to create a “sense of confidence”, and not a “sense of fear”, among the minorities.